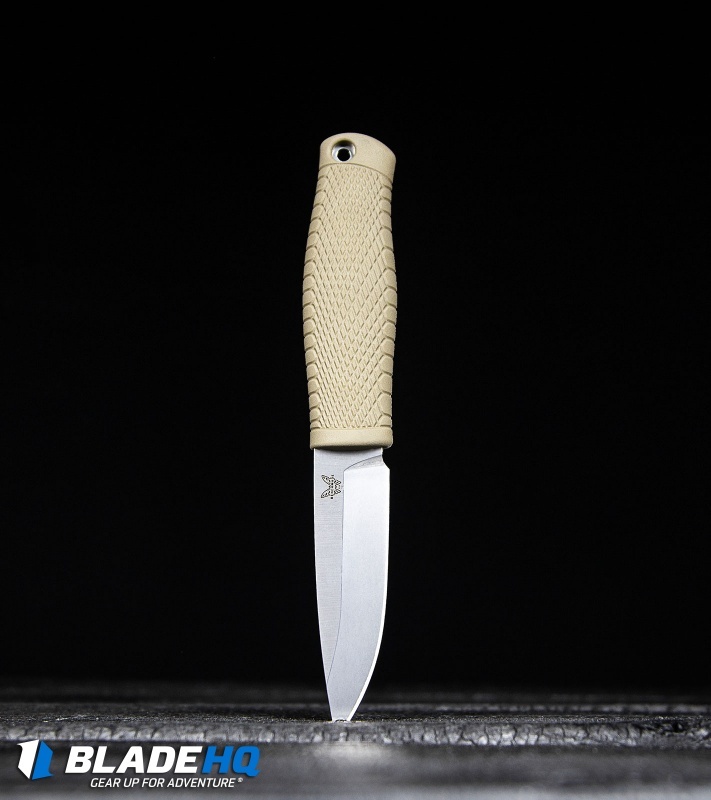 The Benchmade Puukko was designed to manage all of your outdoor cutting tasks. It offers the classic Scandinavian design with a high performance Benchmade build. CPM-3V steel and a rubberized santoprene handle provide the strength and durability necessary for a good outdoor knife. 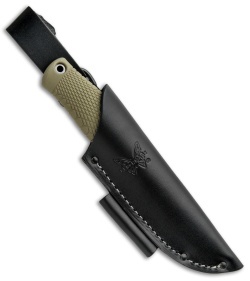 It comes equipped with a versatile leather sheath that is easy and comfortable to carry. 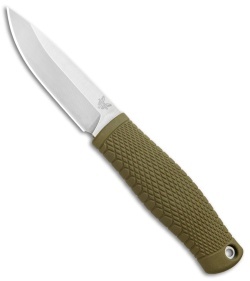 Whether camping, hiking, or bushcrafting, The Benchmade Puukko will make a reliable companion. 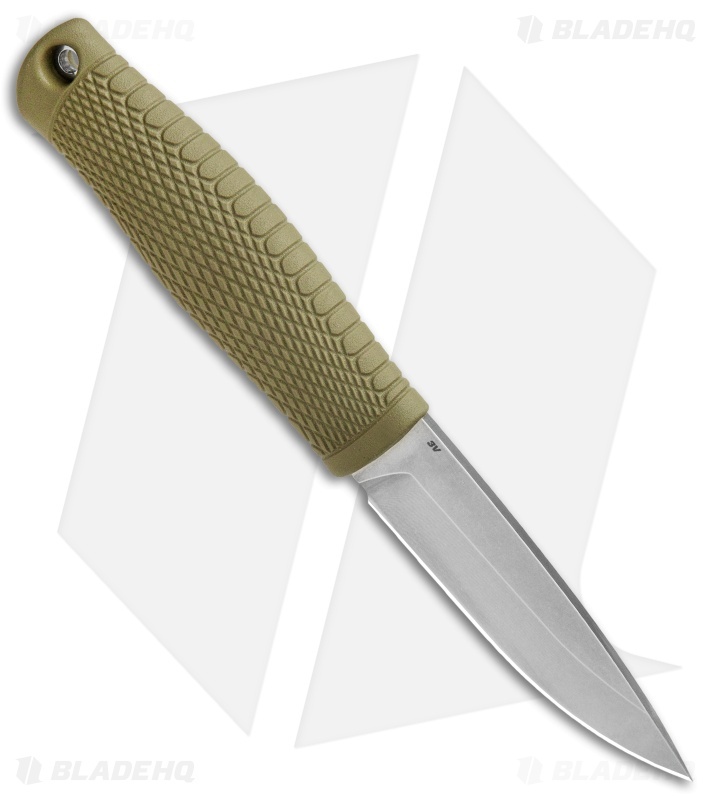 This knife is almost perfect but I have two minor issues with it. One is that the spine of the blade isn't sharp enough to strike a fire steel reliably and the dangler on the sheath isn't as secure feeling as I would like it to be. 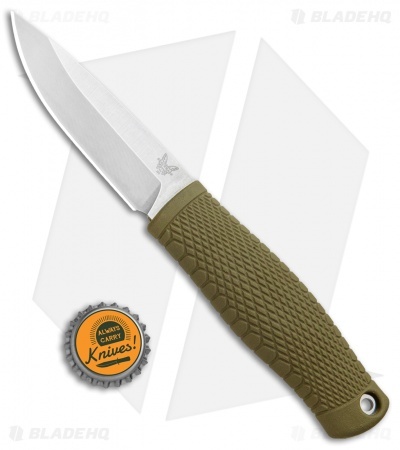 Both are easily fixed and shouldn't stop you from buying this incredible knife.The steel is top notch and the ergonomics (at least for me, we are all different) are superb. If you are looking for a new camping/ bushcraft knife I suggest you look no further. 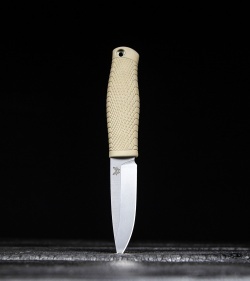 I really like puukko knives. I ordered this the second BHQ had inventory. This is a solid knife, and one that just begs to be used heavily. It feels great in hand, and the blade is sharp and functional. Small nit - the BHQ says it's a flat grind. You can see from the image it's not. I'm in LOVE with this knife.. I was lucky enough to grab the last one Benchmade had at the factory on the first run.. and I tell you what.. I'm so glad I picked it up. the 3v steel is great.. I've had it about a month with every day use.. and it's still as sharp as the day i got it! Buy one! you won't regret it!